Gone are the days when hatchbacks used to be the only consideration of car buyers. Hatchbacks were more preferred by first time buyers or even ladies looking for their first self driven outing in a car. Nowadays everyone from the vegetable grocer to the big shot politician aspires for Lamborghinis and more recently Aston Martins. However in all this hullabaloo, hatchbacks still outsell other bodied variants of cars. The reason is that hatchbacks are easy on the pocket, offer a wide array of engine options plus are equally or sometimes more spacious than sedans and comparatively cost less than what a typical sedan would. Wait a minute. The last part isn’t that right. All the three cars in this competition today, the Hyundai i20 in India, the Skoda Fabia in India and the Honda Jazz in India are costlier than some of the entry level sedans. Times have really changed. Earlier on, people would frown at the thought of a hatchback which costs Rs 9 lakhs on-road (I still know some people who would). Hmmm. So why am I doing this comparison in the first place? Because there exists a market for these hatchbacks and there are buyers out there who would want to know which hatch is better than the other. The Skoda Fabia in India boasts of the newest design of the lot. Though, it is said to be an all new Skoda Fabia, only the eagle eyed would notice the differences. The head lamps are now more of petal shaped rather than the goggle eyed effect earlier. Now, only the top of the line Fabia gets fog lamps. The wheel size remains the same while the rear has been slightly reworked. But like I said before, these are some changes that you would rarely notice. As for the Hyundai i20 in India, it also mirrors some of the Fabia’s design elements. However where the Fabia looks like a sleek athlete, the i20 looks like someone who used to visit the gym regularly but after some days failed to report to his gymming sessions and hence has gained weight. The wheel design theme looks similar to the one that Skoda uses. The outside rear view mirrors have turn indicators embedded in them. The Fabia may look a bit boxy but the i20 has swooping lines which show the fact that this car used to be a former athlete. The tail lamps in typical European fashion extend all the way to the side walls. Apart from that, the bumper also features a few creases. The Honda Jazz in India looks very much the athlete who is on a lean diet as if it is going to win the upcoming Common Wealth Games. It has the nose of the i20 minus the flab and a taller stance than all the Hondas in India minus the CR-V. The beak like head lamp design is also in sync with the overall look of the car. Three quarter glasses on both the A and D pillar means that this car liberates lots of room inside the cabin. Cab forward design in Honda speak. The rear is also the more distinct of the other two in this comparison. The black treatment for the tail gate opener also looks cool. Amongst this trio, it will be the Honda Jazz which looks a head turner. But hold on. Its not for its design language but for the very fact that only a few Jazzs are visible on the road. Up second would be the Fabia and then the Hyundai i20. 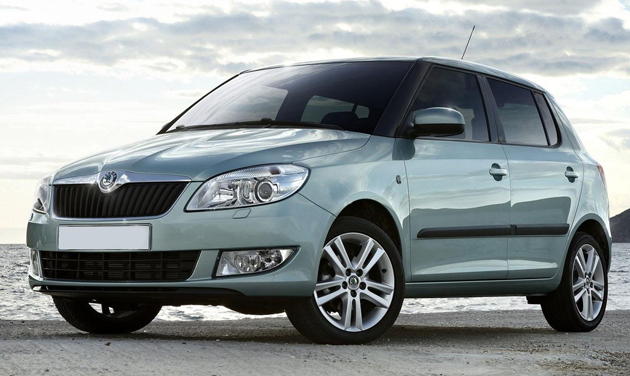 The cheekiness of the Fabia’s design language on the exterior doesn’t mean that the interiors have been compromised. While it might seem the most compact amongst the superminis in this comparison, the Fabia is far from that. It can seat two 6 footers one behind the another with relative ease. Also the interior trim and finish are upto the usual Skoda standards. However shocking is the omission of many features from the features list. This is done with a bid to keep the costs down and make the Fabia a value for money proposition. Some like the electronically powered mirror adjustments, demister and rear wash and wipe would be missed. Moreover chrome has been used inside the cabin instead of the earlier silver finish. Cubby holes are not that great inside the cabin and the meter dials are more of the ones with the traditional Volkswagen family. Boot space is good however, as compared to lesser hatches. Shoulder space at the rear is a bit of an issue however leg space is excellent. The Hyundai i20 with all its fluidic design concept theme on the outside translates to a better designed package on the inside. Build quality is almost up there with Skoda and the i20 doesn’t skimp out on equipment either. There are 4 speakers with 2 tweeters compared with the Fabia’s 2. The speaker configuration is shared with the Jazz. While the Fabia loses out on the audio controls in the steering wheel and also the sunroof, the i20 delights the user by providing all these features. There is an uber cool blue backlighting coming up when night mode sets in. This is increasingly becoming a new feature in almost all of Hyundai cars in India. Not that I am complaining. Boot space however is at par with the Skoda Fabia. Seating arrangement is fantastic on the front whereas the rear seat passengers would feel that they are seated a bit closer to the road. Underthigh support is a bit lacking whereas head room or leg room isn’t an issue. The Honda Jazz has that typical Japanese tinny build quality however, the Jazz seems a better build proposition than the other Hondas found in India. The 3 different gauges inside the cabin of the Jazz looks cool especially when they are lit in the night. 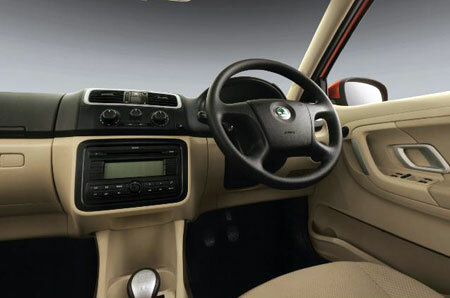 The Jazz is the second car in this comparison which has steering mounted controls on it. Honda have always known to provide the best seats in the house and with the Jazz, the story is no different. Lots of space at the front and rear means that the Jazz is actually a sedan in hatchback guise. Boot space is a tad better than the others in this class however its Varioflex seating arrangement means that the Jazz can take quite a bit of luggage like an MUV. However this car isn’t without its faults especially with the plastic bits which take quite a beating as compared with the others in this competition. Not only do the plastics seem a bit cheap but they also feel like it. 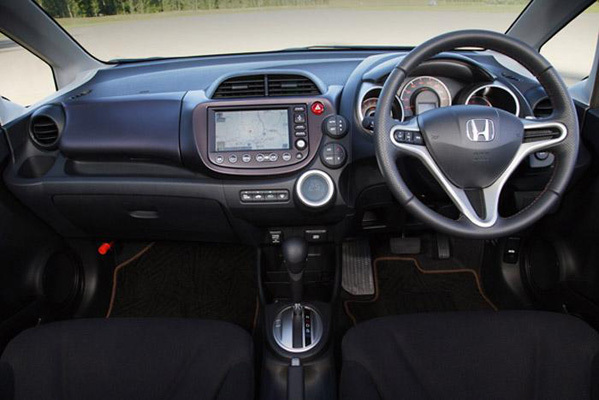 Over the years, Honda has not only skimped on equipment but also on the quality of the interiors. With the overall features that it provides, the Hyundai i20 wins this round followed closely by the Fabia and then the Honda. The Honda loses out on the quality of materials used and on essential features. However on the space quotient, it is the Honda which comes out trumps. None of these cars are meant to be corner carvers however the suspension setup of both the Jazz and the Fabia are slightly on the stiffer side. The Jazz has got a stiff suspension due to the fact that most of the Hondas in India are softly sprung and this means that the rear squats out when fully loaded. Not the Jazz however. It seems a bit more compliant than the other Hondas. Steering inputs are met with a good reaction from the chassis and while the steering wheel may not be the most communicative one around, it definitely feels good in the city. However move onto the highway and stability would be an issue with this not so small Honda. It gets swayed by the crosswinds. Ride quality is stiff at low speeds but noticeably improves once the speeds rise. NVH is typically Honda with the motor taking on a raspy note once the rpm meter crosses the 4000 rpm mark. 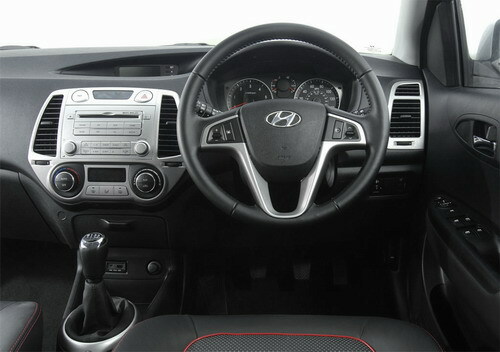 For the Hyundai i20, passenger comfort comes first and it is softly sprung. It swallows all the small potholes at low speeds however bigger bumps catch it out of line once the speeds rise. NVH is one of the lowest in this class. Handling however suffers with the i20 more reluctant to turn into corners than a buffalo being dragged away from a pool of water. The light steering wheel is also to be blamed for its handling woes. Its totally devoid of feel. It is more like the i20 was built for city use only. It is however far stable on the highway than the Jazz. The Fabia is also setup on the stiffer side and has the most sorted chassis of the lot. It has an entertaining and communicative steering wheel which delights with its sleek operation. The ride quality in the meanwhile is on the stiffer side and by far the stiffest of this lot. It manages to evict the small bumps however the larger ones are filtered inside to the cabin. NVH is nicely controlled with the thick A-pillars not letting much of the sound inside the cabin. Handling is also sweet and though the Fabia is not the tool to go corner carving, it does its job well partially aided by the chunkier than the Honda Jazz tyres. The Jazz’s tyres squeal in protest and this low rolling resistance tyres are here to maximize the fuel efficiency stakes only. The Honda Jazz followed by the Hyundai i20 and then the Skoda Fabia. All the three cars in this comparison come with a 1.2 liter engine however barring the Honda, the rest have a choice of diesel power plants as well. The Hyundai and Skoda infact even offer more powerful petrol power plants. Starting with the Skoda Fabia in India, it is offered with a 1.2 liter engine which is a straight lift from parent company Volkswagen’s Polo. This 1.2 liter mill makes 75 Bhp of power and 110 Nm of torque. It is aligned with a 5 speed manual transmission. The figures might point at the Fabia being a car with a higher weight to the power that it generates, it actually is the truth. The Skoda feels a bit sluggish off the mark and the 0-100 kmph run is completed in 15.3 seconds while the top speed is in the regions of 156 kmph. The Hyundai i20 in India with its 1.2 liter DOHC engine makes 78 Bhp of power and 110 Nm of torque. It is also aligned with a 5 speed manual transmission. The i20’s engine needs a lot of revving into before some progress can be made. It might seem a bit sluggish at the onset however prod the accelerator and the i20 throws itself with a gusto. It breaches the 0-100 kmph time in only 14.3 seconds and reaches a max speed of 151 kmph. The Honda Jazz in India gets a 1.2 liter engine packed with I-vtec technology. This makes it one of the most technologically advanced engines in this class. This engine produces 90 Bhp of power and 110 Nm of torque. The 5 speed gear box is a delight to use and the engine as always is eager to meet its rev limiter. However lower down the rev range, there is no power to speak about and with a full complement of passengers, the Jazz feels a bit bogged down. That is until the rpm meter crosses the 4000 mark, post which the Jazz ditches its side skirts and posts a 0-100 kmph time of 12.7 seconds and a top speed of 165 kmph. All the cars here come with a combination of discs on the front and drums at the rear. Moreover, ABS and EBD are also available. The Fabia displays the best poise of all these cars here while the Hyundai i20 comes in last. Braking distances are similar but the i20 pogos a bit and the Jazz tends to skid a bit with its puny tyre configuration. As far as safety is concerned, the Hyundai i20 is the safest car of the lot with a perfect 5 star in the Euro NCAP ratings. The Jazz isn’t far behind but then the Jazz which was crash tested had the electronic stability program attached with it. Skimping on equipment meant that Skoda has provided only 2 air bags. For the crucial fuel efficiency stakes, Honda’s Jazz returns 16.1 kmpl, the Skoda Fabia goes 15.5 kmpl and the Hyundai i20 manages 18.5 kmpl. All these are ARAI certified figures. However I don’t doubt the fuel efficiency of the i20 since it has got a 6th gear to boast of which aids in the cruising abilities of this car. It should be the Jazz which should have been the winner but in this stakes, it is the Hyundai i20 with its full complement of safety and also fuel efficiency. The Jazz comes in a close second while the Fabia is outclassed here. If you would have noticed, the Skoda Fabia comes in 2nd or 3rd most of the times in this comparison. It is not that this product isn’t competitive but the very fact is that the competition has moved ahead. Sure the Fabia had a head start for superminis in the Indian market and actually paved way for other manufacturers to bring in their products but the competition waited and actually capitalized on the Fabia’s shortcomings. The Skoda Fabia in India is only for those looking to bring the Czech brand home. Its engine does seem puny enough to power a car this porky. Moreover Skoda’s aftersales service is a dampener and if you scout the net (which I am sure you would be), then you would only come to know that most of the buyers of Skoda vehicles would be bad mouthing them. Mind you, the vehicles are picture perfect but it’s the after sales which need to get a fillip. 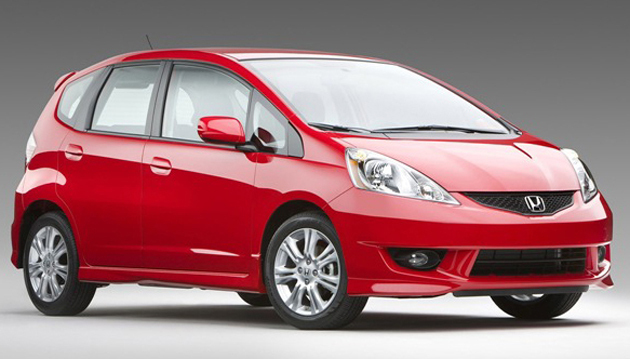 The Honda Jazz in India was always a highly competitive product but it was always over priced. Unless Honda realize that they have priced the Jazz similar to what Hyundai has done with its much capable 1.4 diesel, the Jazz would be stranded in Honda’s show rooms or stock yards. 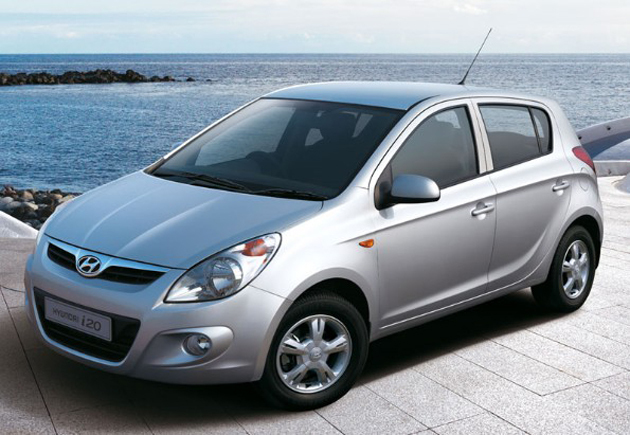 Its motor is an enthusiasts delight and with Ivtec technology, the fuel efficiency is also top notch. Honda’s aftersales is also said to be of high order. However it is the Korean which trumps the Jap and Czech here. It has got the best fuel efficiency of the lot plus lots of features on offer. Moreover, Hyundai has earned quite a name for itself in the Indian market with its good after sales records. Now comes the pricing of these cars. There are 5 variants of the Hyundai i20 in India and those are Hyundai i20 Magna, Asta, Asta (O), Era and Sportz. The Hyundai i20 price in India starts from Rs 4.7 lakhs for the base Magna variant going upto Rs 5.8 lakhs for the top end Asta (O) variant. The Skoda Fabia price in India starts from Rs.4,86795 lakhs to Rs 5,70174 lakhs. The Honda Jazz is the priciest of the lot with the Honda Jazz price in India starting from Rs 6.98 lakhs and going upto Rs 8.2 lakhs. All these prices are ex-show room Delhi. My choice would be the feature packed Hyundai i20 supermini. What’s yours?